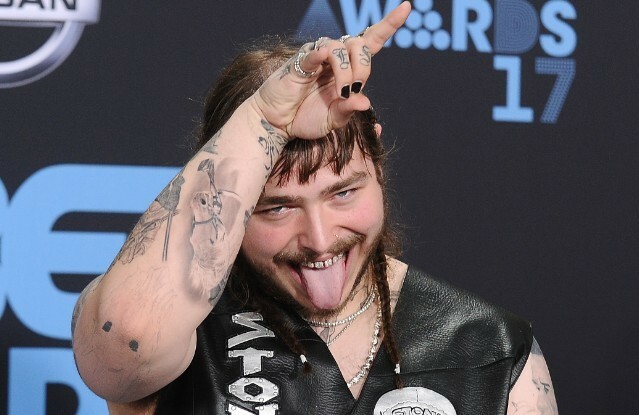 Japan’s Fuji Festival recently hosted a mini-summit for scruffy millennial icons as Post Malone joined Mac DeMarco on stage to assist with a cover of Kyu Sakamoto’s classic “Sukiyaki.” Malone played the egg-shaker, dancing with the conviction of one who recognizes that something like this was bound to happen eventually. The Mac/Malone symposium wasn’t the only high profile collaboration at Fuji Festival; you can watch Vampire Weekend team up with Haim’s Danielle Haim for a rendition of “The Boys Are Back in Town” here. Watch Malone shake his egg below.